There is nothing to talk about. Any Arab-Palestinian that does not want to live under Israels government and obey the laws must transfer to Jordan or to the 75,000 sq, miles the land the Arab countries confiscated from the million persecuted and expelled jewish families. Judea and Samaria is Jewish territory - No annexation is required. No Jew or Jewish government has the right to evict Jews from their historical land in Greater Israel. “Israel, including Judea and Samaria, and the land east of the Jordan River has been the land of the Jewish people since time immemorial, over 30 centuries. Judea means Land of the Jews. Never in the history of the world has there been an autonomous state in the area that was not Jewish.” There has never been a Nation known as Arab Palestine. The Arabs received over five million sq. mi. of territory, but that was not enough. Violating international law and treaty the British allocated over three quarters of Jewish allocated land to the Arabs as the new Arab state of Jordan. The Arab countries expelled over a million Jewish families and confiscated all their assets including businesses, homes and over 75,000 sq. mi. 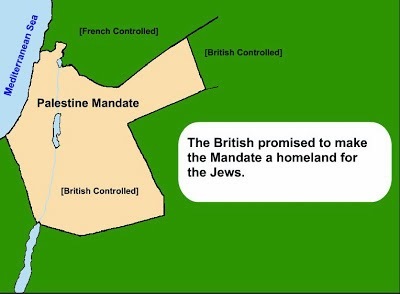 of Jewish owned land for over 20 centuries. Let me pose an interesting scenario. If you had a country and it was conquered by foreign powers over a period of time. After many years you have taken back you country and land in various defensive wars. Do you have to officially annex those territories? It was always your territory and by retaking control and possession of your territory it is again your original property and there is no need to annex it. The title to your property is valid today as it was many years before. Jewish roots and rights to all the land of Greater Israel are stronger than ever!